The Grand Idea 2015 Win! Yet another amazing day for the Lily Warne Wool family we have WON the Royal Agricultural University The Grand Idea 2015 competition. After the Devon Farm Business Award win a few weeks ago our feet haven’t touched the ground. We are so proud of how far we have come with our Farm to Yarn story. The £1000 will be so valuable to us as a small family business. We are busy making plans about exciting changes to the website and designing new and different Lily Warne products, its such an exciting time for us please continue the journey with Lewis and I. This entry was posted in 2015, Awards. Bookmark the permalink. 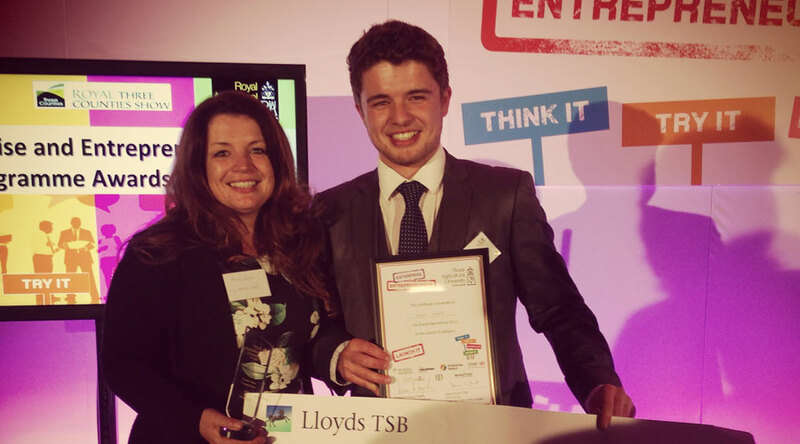 Best Young Entrepreneur Award Win!